Amazing waters dotted with hundreds of sandy islands, friendly people in small settlements, and some of the best cruising in the world! We think the Bahamas is well worth a visit! If you are thinking of sailing here check out this page with tons of images and videos of this excellent cruising ground. We have made a number of videos to help you plan your cruise. Best boat to cruise the Bahamas? 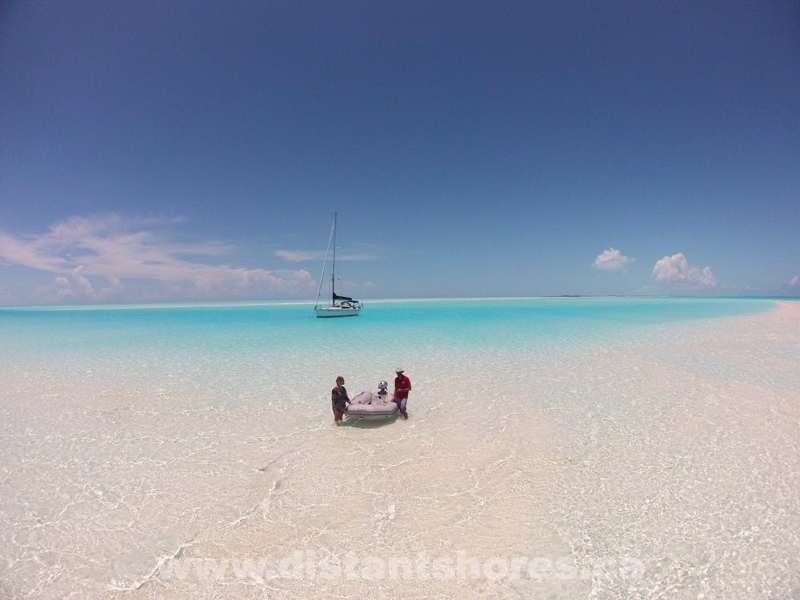 The Bahamas are shallow and best enjoyed with a boat drawing 6 feet of water or less. However there are a lot of amazing destinations you can visit with more than 6 feet of draft. Visiting with a deeper draft will require more planning and you won’t get to as many paces but there are still some great highlights! Our first boat Two-Step was a Classic 37 and drew 6 feet and we got to lots of amazing places. The Bahamas are unusual in that even with just one foot less draft will make big difference. 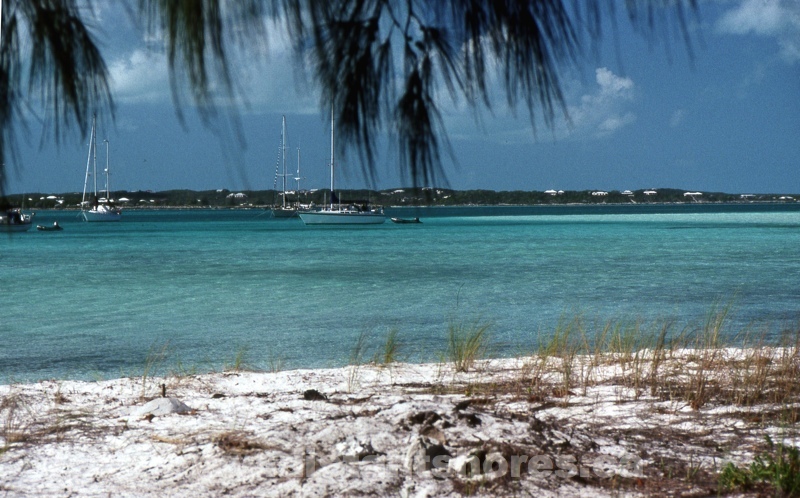 For instance 5 foot draft would mean the Abacos Island group can be more easily explored. With 4 foot draft you can go almost anywhere. 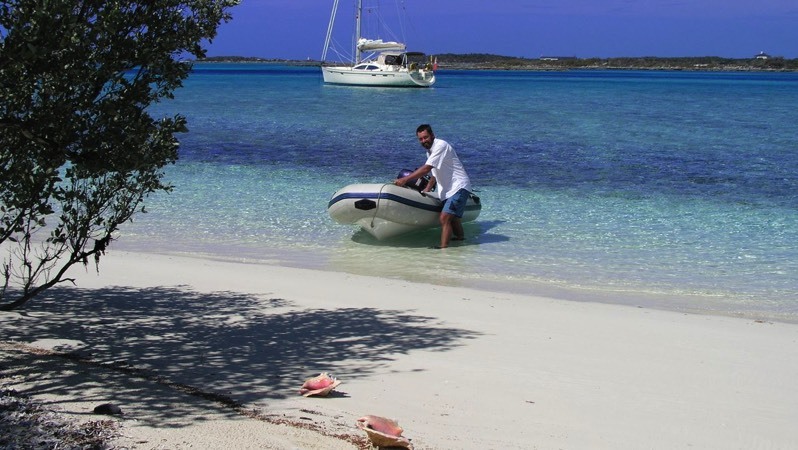 But even then you will be tempted to get into the dinghy to explore since even four feet means some large shallows beckon for the adventurous cruising sailor! On our first visit to the Bahamas back in 1989 we didn’t read the chart carefully enough when planning our island dinghy picnic. As the tide fell we had to get out and pull our dinghies. It was so shallow - we are 1/2 a mile from the nearest land! 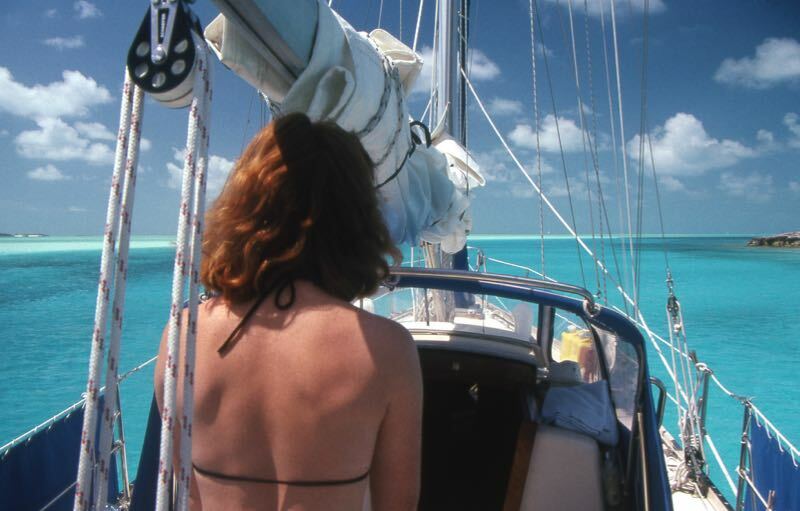 Our current boat draws just 3 feet with the keel up, but we enjoyed many cruises to the Bahamas with our original 37 footer (6 foot draft)… Sheryl pilots her down a narrow channel in the Exumas below. Full sun and polarized sun glasses give the best view into the water for safe piloting. From the numerous sharks to the many dangerous reefs, there is no shortage of hazards in the Bahamas. But we wouldn't have it any other way. Come along as we explore these amazing islands, from Ragged Island and the Jumento Cays up to the Exumas and Compass Cay to meet the sharks. In 2014 we made our 7th visit to the Bahamas. We have now spent more than one and a half years cruising these enchanting islands and still want to return to see more. Here are some pictures of these wonderful islands from this cruise (2014) and below from previous cruises in 2007 and earlier in the 1990s. The waters of the Bahamas are fabulous… with the most amazing colours. The waters are very clear, and the amazing white sand under shallow sea means this amazing colour shines through. Even with modern electronic charts and accurate plotters it is important to learn to read the colour of the waters to navigate safely on these islands. Check out my blog on reading the water colour and this one on shallow water piloting. How to beach your boat! This was one of our first times to deliberately beach our Southerly 42 in the Bahamas. Lovely George Town Harbour in summer - it will be much busier in peak season - December-April. 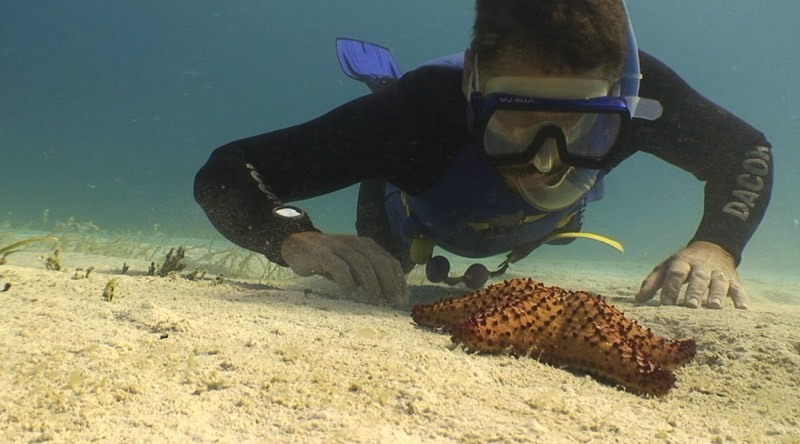 We first visited the Bahamas back in 1989 when we started filming the undersea life. 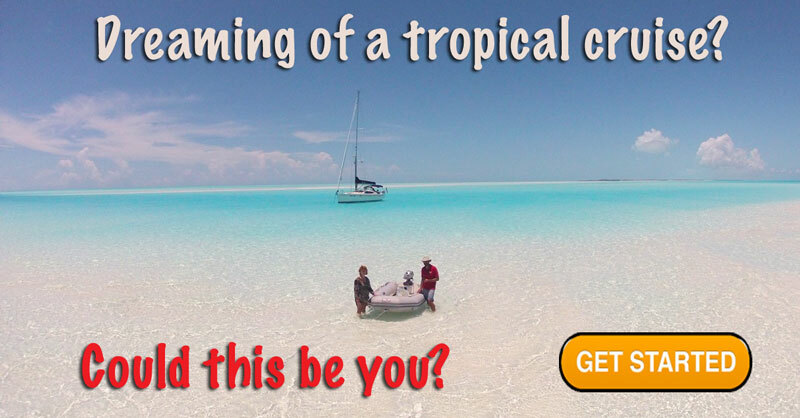 We eventually made a video for cruisers planning a Bahamas Adventure called "Cruising the Bahamas" We included a great section on "shallow water piloting", planning a gulf-stream crossing, setting the boat up for warm weather cruising and much more. Revisiting the islands on our Southerly 42 we made 3 more movies on the Exuma Chain in 2008 (Distant Shores Season 5) as we sailed up the whole length of the crystal-blue islands. 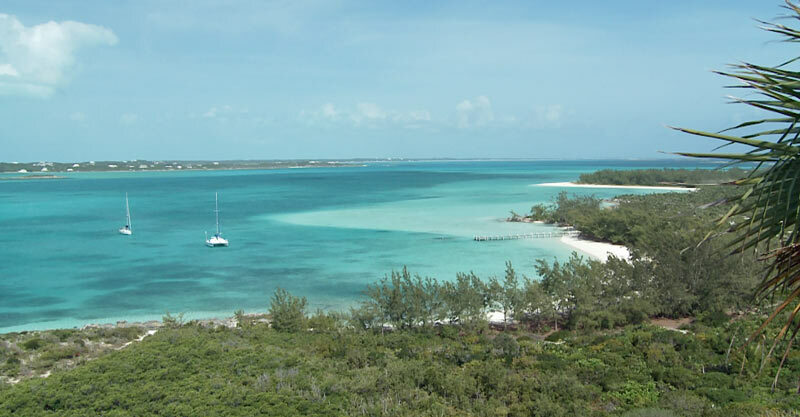 We came across from Acklins to Georgetown and up to Allens Cay stopping at many of the Exuma hotspots on the way! We revisit the Bahamas in Season 6 as well! The Shards put together a great show! It's a wonderful way to see the world with a great insight into the cruising lifestyle. Top notch entertainment that will keep you wanting more Well done indeed! 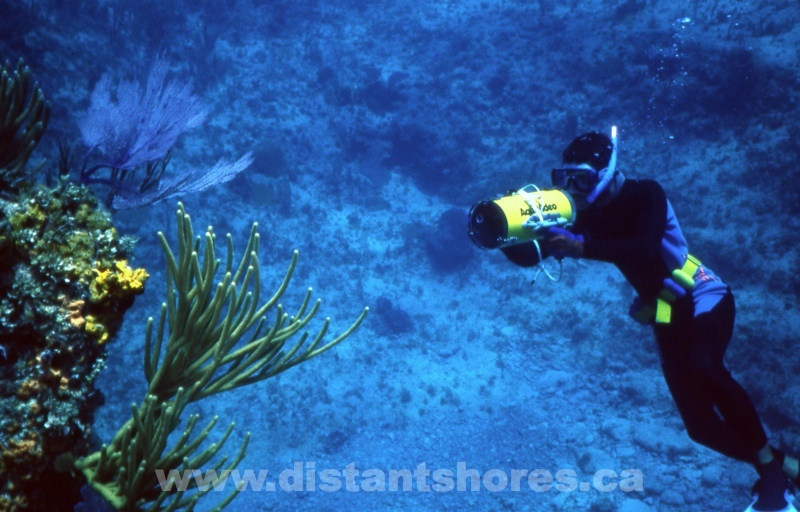 The cuts are also usually good places to dive since the water flow encourages coral growth. Filming in the cut at Cave Cay. You only have 45 minutes or so at slack water. 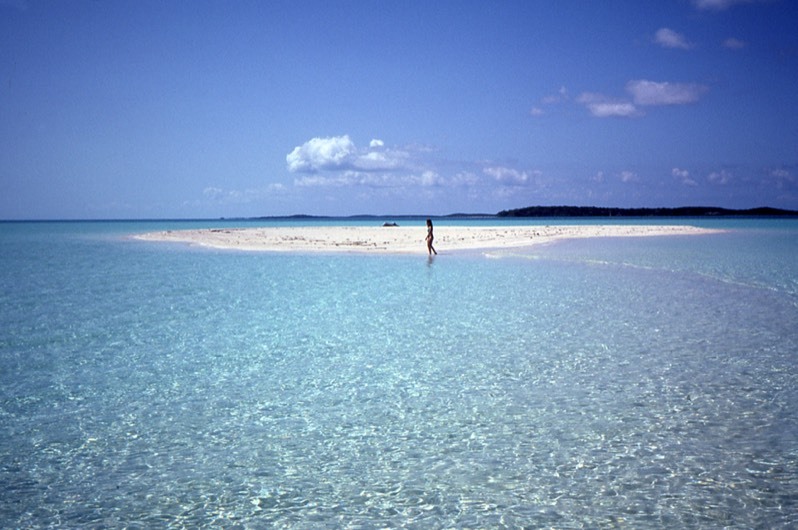 The fabulous channels at the Exumas Land and Sea Park. 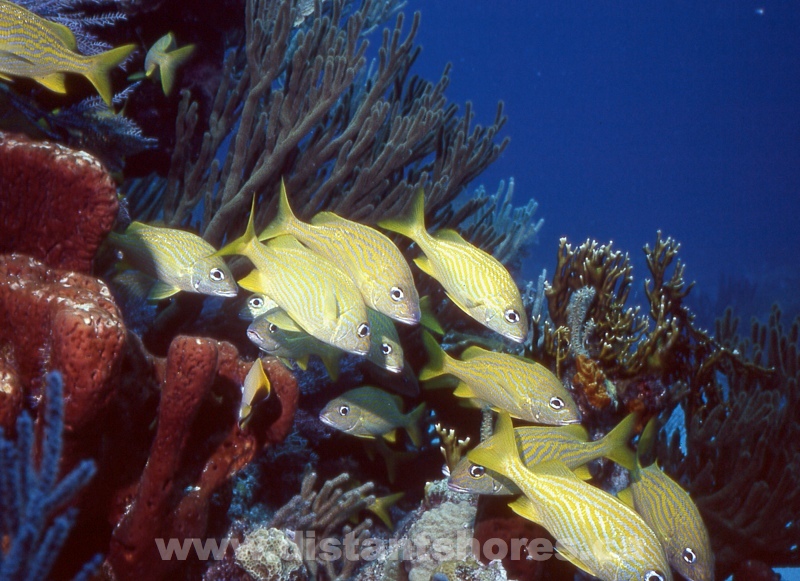 Some of the finest diving in the Bahamas is right here in this popular park. Below is the mooring field at the Warderick Wells Park HQ. Check with the park on the VHF for mooring availability. The anchorage at Georgetown in the Southern Exumas is a real cruisers hangout. Some people stay here the whole winter. We used it as a base to drop in and get groceries, laundry etc. 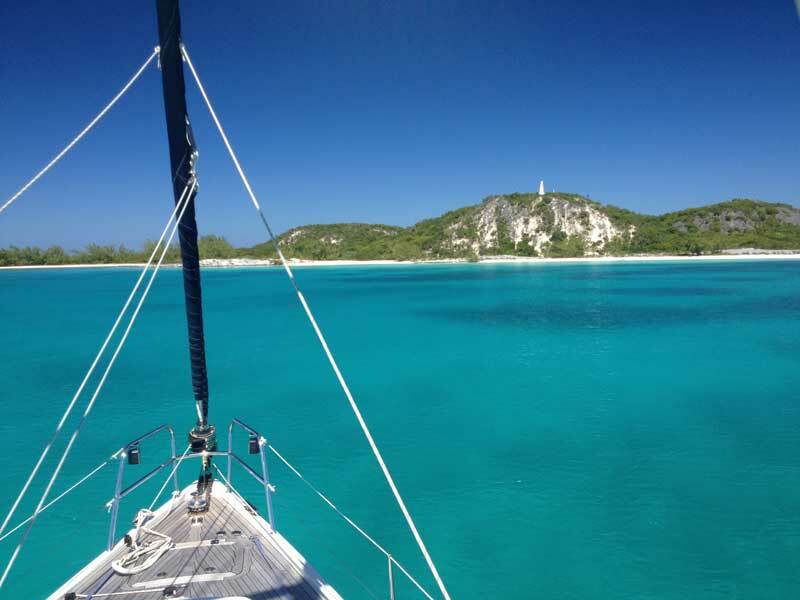 Interested in more information on the Bahamas and sailing these amazing waters? 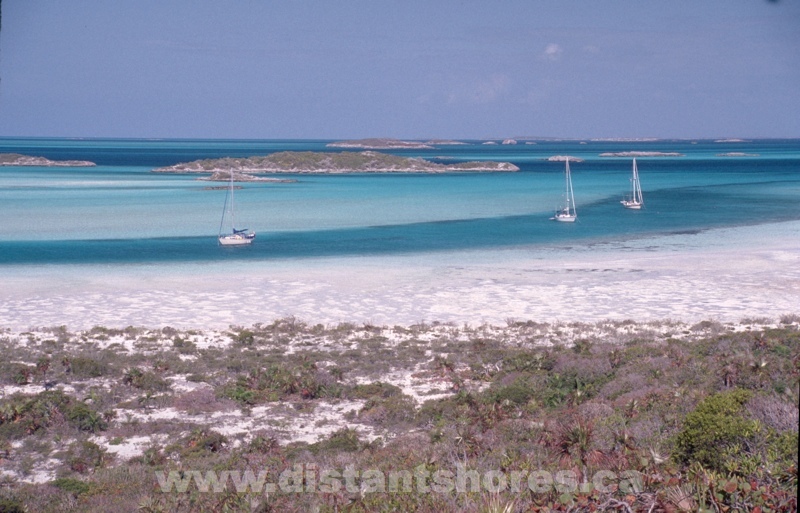 Check out this 30 minute video on sailing the Exumas. You can sign up for our newsletter and download it in HD. Click below. The Exuma Guide - Stephen Pavlidis - Excellent Detail and intimate knowledge of this lovely but challenging area!